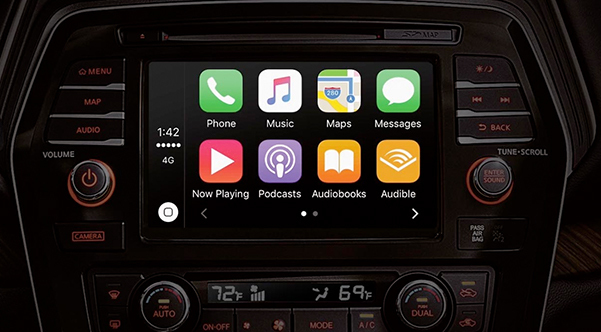 NissanConnect® is an infotainment system that offers navigation, entertainment apps, security and more to keep you connected at all times. No matter if you're driving around Greater Philadelphia or you're on a weekend getaway, the NissanConnect® system is designed to keep you informed and your passengers entertained at all times. You can wirelessly stream music, remotely start your car or use Amazon Alexa or Google Assistant to make your drives easier and more enjoyable. Buy or lease a new Nissan equipped with NissanConnect® when you visit our Nissan dealership near Philadelphia, PA.
NissanConnect® offers convenience for your everyday drives. Whether it's with the swipe of a finger or the sound of your voice, you can easily command your commute by getting turn-by-turn directions based on traffic patterns or change over to your favorite playlist to get you ready for the day. Start your morning off right by preparing your vehicle before even setting foot out your door. You can easily lock, unlock or send destinations to your in-vehicle navigation system with your smartphone. Need help staying connected while you drive? Facebook® and Twitter® are available via voice-recognition technology, and you can send a text or make a call without picking up your phone. With SiriusXM® Traffic and Google® hotspots, you can find the best route to your destination as well. SiriusXM® Satellite Radio, iHeartRadio, Pandora® and more are offered, too. Plus, a suite of security services give you peace of mind and can let you know when your vehicle is due for Nissan service and repairs. Which Nissan Models Offer NissanConnect®? There are many NissanConnect® packages available in new Nissan models. 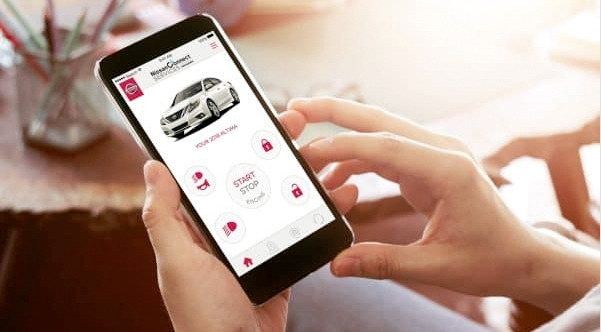 Whether you want to buy a new Nissan Altima or are interested in new Nissan Rogue, these vehicles are equipped with one version or another of NissanConnect®. Have questions about NissanConnect® in the model you want to buy? Contact Conicelli Nissan in Conshohocken, PA. Our Nissan sales team is happy to help answer your questions!